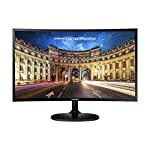 The ASUS MG278Q is a 27″ gaming monitor that has a number of features tailor made for a gamer looking to upgrade their display. If you’ve never had a game orientated monitor before then you’re in for a treat if you buy this, you’ll wonder how you ever survived in the old days! The MG278Q is the TN panel version of the MG278Q, which uses IPS technology. The latter is more pricey but many prefer the IPS technology for its superior colour consistency at wide viewing angles. But in many ways these two displays seem very similar so I don’t think there is a clear answer as to which one is “best”. The MG278Q has a maximum refresh rate of 144hz which is what most gamers desire these days, arguably the return on investment tails off once you go to faster and faster refresh rates but if you go for a 144hz display you won’t be disappointed. 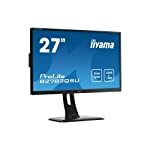 It’s also a QHD 1440p resolution monitor which gives you a beautiful clear image, on a 27″ screen moving up from 1080p HD starts to look attractive. Do remember that you’ll need a decent modern graphics card to get decent frame rates at this higher resolution. Whilst the entry level cards can run HD games at ultra settings these days (I know as I own a GTX960) if you want to move up to QHD you’ll need a well specced card with plenty of video RAM. We give the Asus MG278Q a 4.5 out of 5 rating. 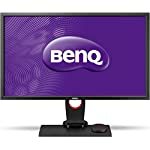 Want to know what existing owners of the monitor think? You can read real user reviews here. 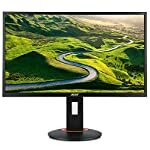 Should I buy the Asus MG278Q?